Infestum are one of those bands which I discovered more than 10 years ago while familiarizing myself with the Belorussian metal scene (see my previous entries under the "Belarus" label). Back then, they were playing very standard black meta, and while their first EP (released in 2001) was good by the standarts of that time, it was nothing original/groundbreaking. They weren't very active in the mid-2000's, so I ceased to follow their news at some point - so it was suprising for me to know, that they're back with a new album, which doesn't sound much like their early releases. 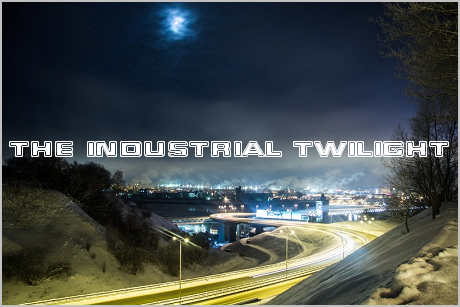 The shift from "true" black metal to the more "industrial-esque" type of sound is easily explainable, though. The only original member of the band still remaining in their lineup is Ion, the lead singer and the founder of the band. All the rest are former members of ID:Vision (which, unfortunately, have split up an year after the release of "Destination Cybermind"). 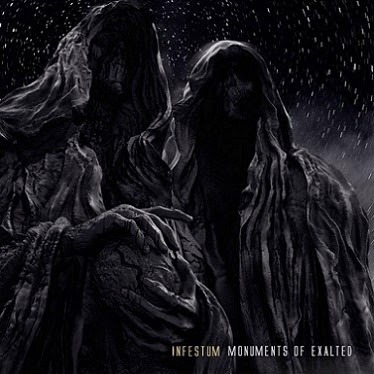 So you can guess what kind of music they present on this album - call it "industrial black metal", "cosmic black metal" or whatever, it sounds good either way, and for me it's one of the best black metal albums of 2014 I've heard up to date.